Skin cancer is the most common dermatological condition seen in general practice – and it is not overly complex to manage if you have the right skill set. Due to a lack of dermatologists, general practitioners play a vital role in managing the skin cancer epidemic and providing effective care to patients with skin cancer concerns. This program will not only give you the knowledge required to safely and confidently diagnose and treat the vast majority of skin lesions, but it will also help grow your practice and increase your revenue. The Professional Certificate of Skin Cancer Medicine offers the ideal starting point for building your core knowledge, and the Advanced Certificate and Professional Diploma courses will increase your confidence in dermoscopy, surgical and non-surgical treatments. The Professional Certificate course offers the ideal starting point for building your core skill set. Understand the fundamentals required to effectively diagnose skin cancer and perform basic treatments in the primary care setting. 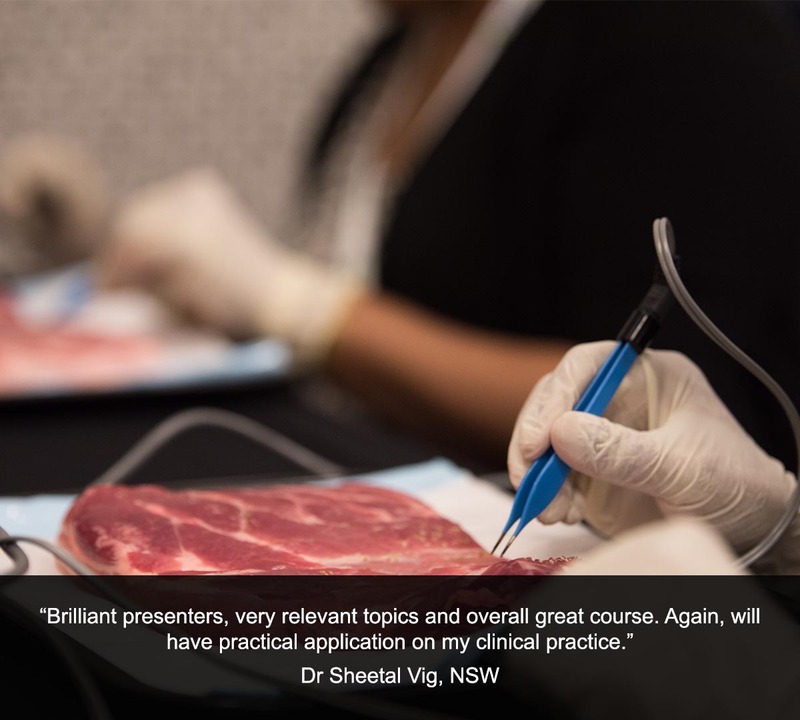 The Advanced Certificate course will consolidate essential knowledge with more advanced dermoscopy, and will allow you to broaden your therapeutic options and practise performing large elliptical excisions and grafts. The Professional Diploma course will extend the knowledge required to manage more complex patient cases and rare skin cancers using advanced dermoscopy, histopathology, cryosurgery and electrosurgery. 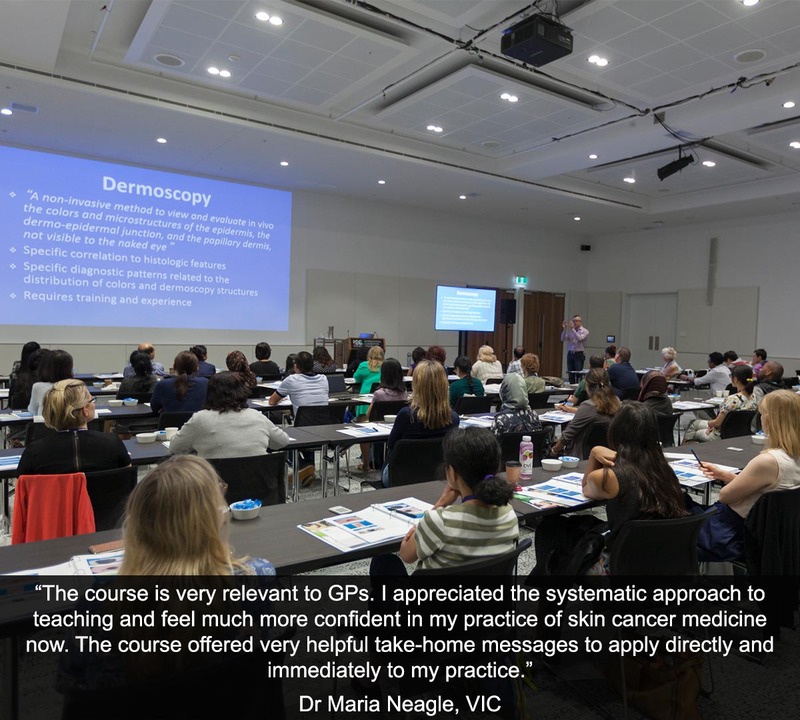 The program is aimed at general practitioners with an interest in providing effective care to patients with skin care concerns and the wish to specialise in skin cancer medicine through further courses. Professor Philipp Tschandl graduated from the Medical University of Vienna where he also obtained his PhD degree. 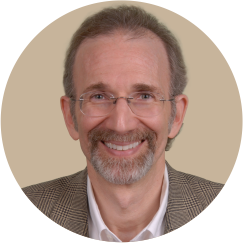 His main research field is skin cancer, especially its early diagnosis through dermatoscopy, and the teaching of that method. 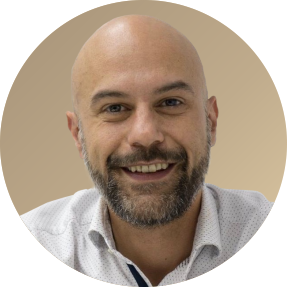 He is an executive board member of the International Dermoscopy Society, secretary of the National Dermatopathology Society in Austria, and member of the Fostering Trainee Education Committee of the EADV. 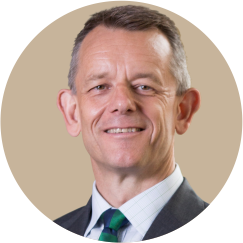 Professor John Pyne was conferred with a Master of Medicine at The University of Queensland, then held a position of Program Director for The University of Queensland Skin Cancer Masters from 2007 until 2013. The thesis for John’s PhD was on the correlations between dermatoscopy and histopathology for BCC and SCC. He is also a past President and Fellow of the Skin Cancer College of Australasia. 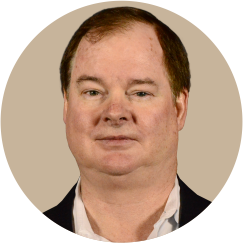 John has a main interest in the optical imaging of early primary non-lymphoid cutaneous malignancy and correlations with histopathology. He is currently investigating surgical margins in management of these cancers. 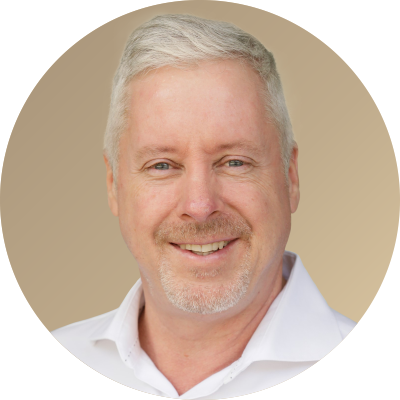 John has teaching appointments at The Universities of Queensland, New South Wales and Western Sydney. 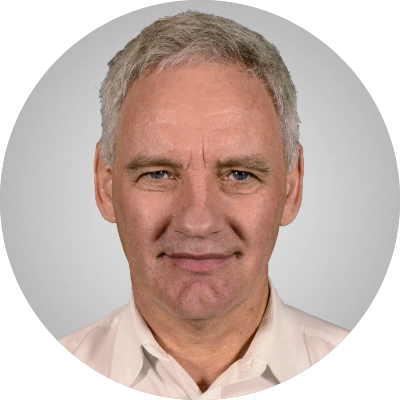 Dr Colin Armstrong is a general practitioner and part-time clinical trials investigator at the Wesley Research Institute, Brisbane. He completed all HealthCert certificate courses and The University of Queensland Master of Medicine (Skin Cancer) in 2011. 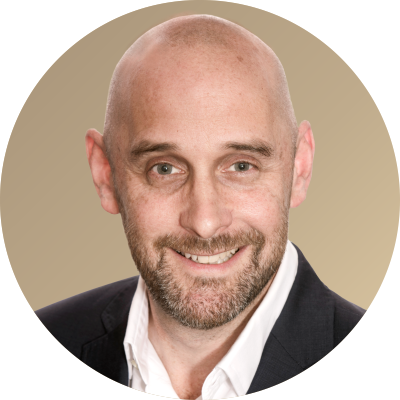 Working primarily in skin cancer since 2010, Colin is passionate about building GPs’ confidence in their management of skin cancer and has an ongoing commitment to GP education in all facets of skin cancer diagnosis and treatment. 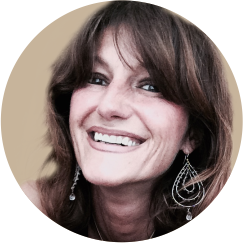 Dr Teresa Troiani is an oncologist committed to clinical and translational research. After completing her medical school studies, she was awarded a Fellowship in Oncology at the Università degli Studi di Napoli Federico II. 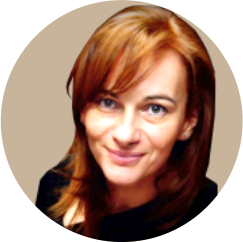 Teresa has worked there since 1998, studying the role of growth factors and their receptors in neoplastic transformation and the novel therapeutic strategies targeting growth factor receptor signalling. 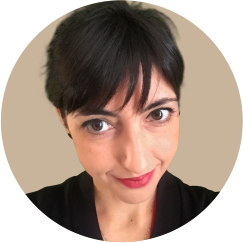 Teresa’s long-term interest is translational oncology, developing new therapeutic strategies and initiating clinical trials. She worked with Dr Gail Eckhardt for two years, publishing several papers in international journals. Teresa then returned to Naples. She has run a series of translational research projects, with both clinical and basic science investigational arms, at an academic medical centre. 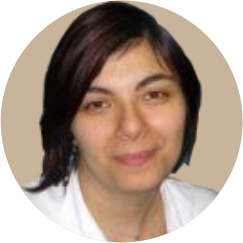 During her career, she has learnt that to fight cancer is a big challenge and only by connecting the preclinical with the clinical work is it possible to make one piece of the wider puzzle. Scott works at National Skin Cancer Centres. He is a Fellow of Skin Cancer College Australasia and is the chairperson of the college’s standards committee. 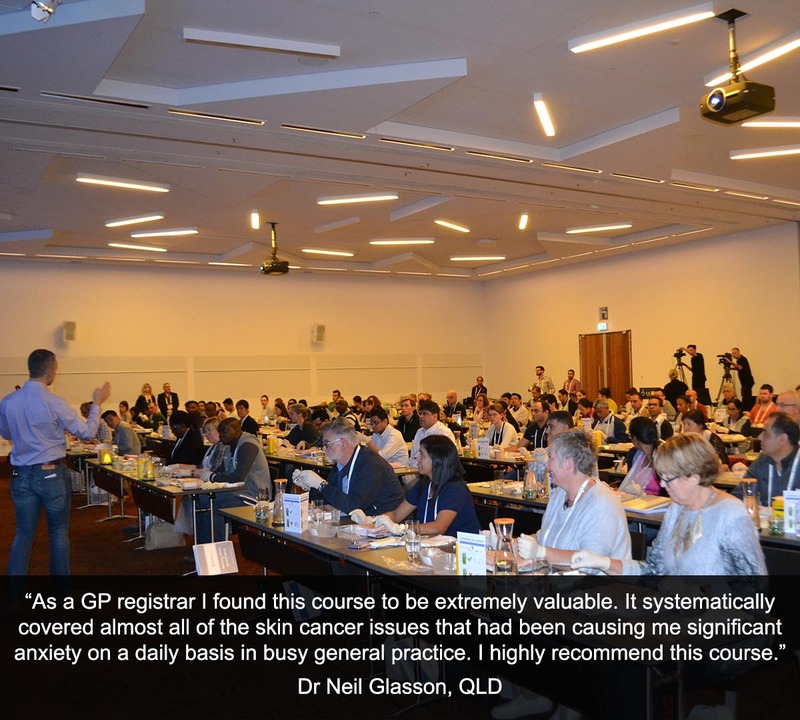 His experience also includes working as a registrar supervisor and examiner for the RACGP. Born and educated in Adelaide, a true entrepreneur, Matt Woollard has run various businesses in the areas of advertising, entertainment and retail. Matt began his career in skin cancer in 2000 as the second employee of Skin Alert. He worked alongside Paul Elmslie to grow the company to 14 skin cancer clinics throughout Australia in seven years. 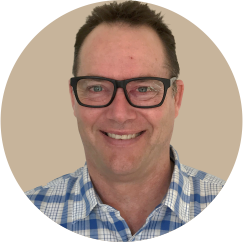 Matt has worked as a consultant in education with companies like HealthCert, Notre Dame Australia, University of Melbourne, The University of Queensland, Zimmer, NSW Health and the RACGP. Matt is now the Chief Operations Officer of National Skin Cancer Centres (NSCC). Established in 2016, NSCC builds and operates skin cancer clinics across Australia, starting out with just one centre and now expanding to eight, with another 22 scheduled to join the group. 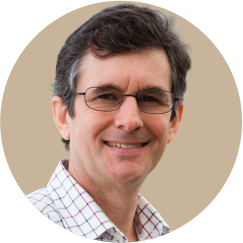 Matt’s area of expertise in the industry is operations, based on a very strong understanding of skin cancer medicine including all aspects of Medicare in primary care. GP REGISTRARS: Doctors in training who are on a recognised pathway to General Practice Registration through a recognised Australian training provider receive a HealthCert Scholarship. *Two- and Three-Course Bundles including the Professional Certificate of Skin Cancer Medicine (face-to-face). *Two- and Three-Course Bundles including the Professional Certificate of Skin Cancer Medicine (online). The two-day face-to-face courses combine interactive lectures, case discussions and surgical practical sessions. The Professional Certificate of Skin Cancer Medicine online course has five interactive webinars. The Professional Diploma of Skin Cancer Medicine online course offers a flexible learning experience with video lectures to be viewed in your own time and case discussions to reinforce your learning of each module. A mid-course and pre-exam webinar is offered to further enhance your learning. Participants are required to complete short pre-course activities and post-course online assessments. All face-to-face courses include a learning journal, access to the session slides in PDF format, and consumables for practical application. Continued access is given to additional resources, reference materials and video lectures on e-Learning. You will also be able to participate in regular online learning sessions with the presenters and have the opportunity to ask any questions you may have as you implement your learning. 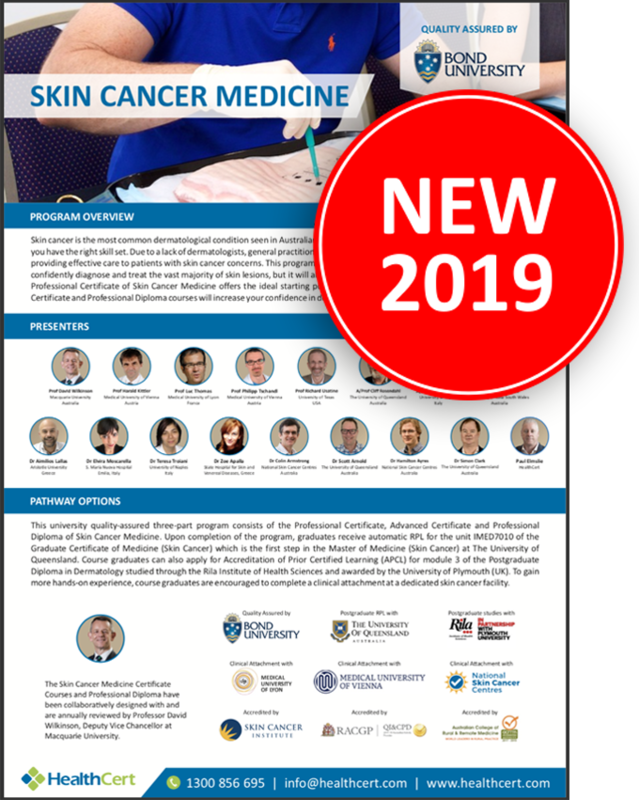 *For delegates who are unable to attend the face-to-face two-day Professional Certificate of Skin Cancer Medicine course due to timetable conflicts or travel distance, we offer a 100% online training option. 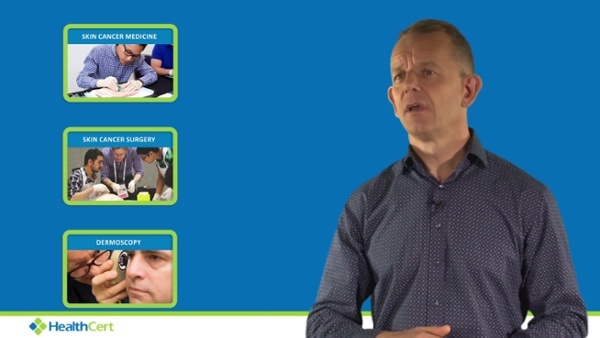 Upon registration, you will be able to access all learning contents immediately and receive a disposable instrument pack, sutures and biopsy kit for surgery practice in your own office or home. If you would then like to cement your knowledge, you have the option to attend the face-to-face equivalent of the course anytime it suits you. Additional fees apply. HealthCert recommends completion of all requirements at your convenience within three months of the exam opening date for Professional and Advanced Certificate and nine months of the course commencement date for the Professional Diploma. Upon successful completion of the exams, course participants will receive the Certificate for Professional Certificate of Skin Cancer Medicine, the Advanced Certificate of Skin Cancer Medicine and/or the Professional Diploma of Skin Cancer Medicine. The full pathway is Professional Certificate of Skin Cancer Medicine, Advanced Certificate of Skin Cancer Medicine, Professional Diploma of Skin Cancer Medicine. 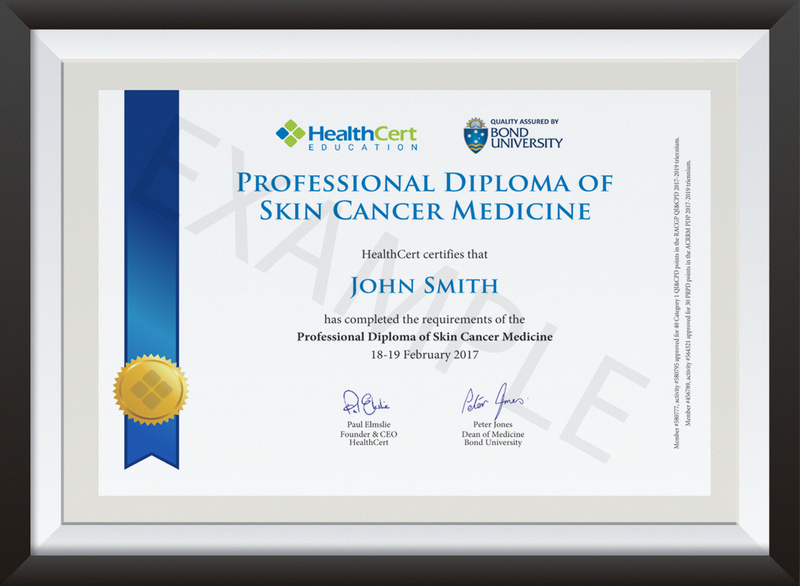 The HealthCert Professional Diploma of Skin Cancer Medicine is guaranteed for RPL for the unit IMED7010, part of the Graduate Certificate of Medicine (Skin Cancer) which is the first step in the Master of Medicine (Skin Cancer) at The University of Queensland. There are no further requirements for this RPL, it is automatic and guaranteed and provides a saving on fees. There are three modules in the Postgraduate Diploma. Medical professionals who successfully complete the HealthCert Professional Certificate of Skin Cancer Medicine, Advanced Certificate of Skin Cancer Medicine and Professional Diploma of Skin Cancer Medicine will be eligible to apply for Accreditation of Prior Certified Learning (APCL) for module 3. Clinical Attachments are optional and available on a 1:1 or small group basis. These provide the opportunity to observe skin cancer medicine treatments and ask questions of the expert performing the treatments. In addition to clinical attachments in Australia, university teaching hospitals at the University of Lyon and the University of Vienna are available for clinical attachments. HealthCert certificates and university statements are awarded for participating in clinical attachments. If you ever look at skin lesions in your practice, you must do these courses. You can't do any skin cancer medicine in general practice without this information. HealthCert courses have become the standard by which you gauge all others. Great course! Very relevant to all practising GPs. Who knew that there is a pathologist "secret". Every GP should know this! Don't miss this course! It's interesting practical, and enjoyable. After attending courses for 30 years, I rank this as number one. The course is very useful to all doctors who diagnose and treat skin lesions. Top marks to the organisers. It was the most well-run and educational course I have attended and I really look forward to doing the skin cancer surgery course next! This program delivers invaluable practical advice and a good review of surgical principles. It's extremely relevant for GPs who wish to do more skin procedures in general practice and improve their confidence. Lots of practice with supervision. 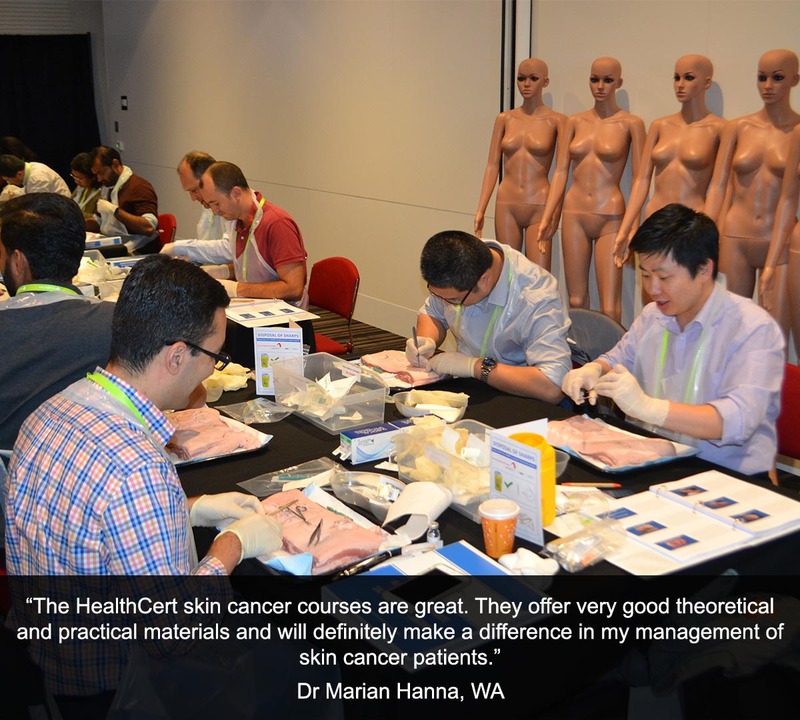 This course greatly increased my confidence in managing skin cancer in my practice. As usual, a very polished, efficient and professional performance by the HealthCert team. Perfectly targets the needs of GPs wishing to gain competence and confidence in skin cancer medicine. Highly relevant to GPs with minimal experience wishing to embark in skin cancer medicine and for more experienced GPs looking for a refresher course to keep up-to-date with recent developments and changes in approaches and thinking. Brilliant presenters, very relevant topics and overall great course. It will have a practical application in my clinical practice. 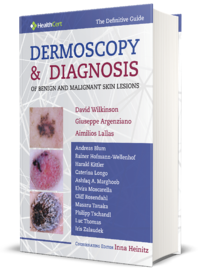 A must for every GP to be confident with skin checks and dermoscopy. This is the most useful postgraduate course that I have done. It is really relevant to general practice and I feel so much more confident managing skin cancers in my practice at a beachside suburb. 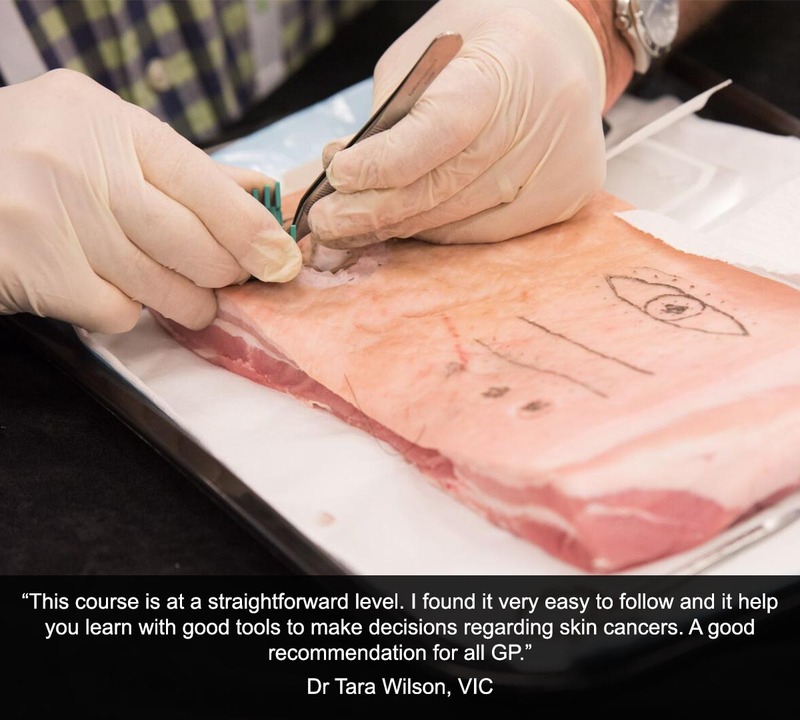 This course is a must for any practising GP in order to be competent at managing skin cancer.